Roshani Chokshi continues to impress me with her effortless skill and crafting marvelous stories and endearing characters. A lot of young adult fantasy/heist books have been lauded as the next Six of Crows, and so far I’ve been disappointment by the ones I’ve read. And while I’m hesitant to compare The Gilded Wolves to it – they are each their own completely unique story – I truly believe that fans of Six of Crows are going to be as enamored by The Gilded Wolves as I was. “I work alone,” said Zofia. The world created here can only be described as opulent and magical. Roshani has written such a unique story full of dark magic, thrilling adventures, and a diverse cast of compelling characters. From the mysteries and secrets, to the heists and plot twists, there is a lot of good stuff going on in this book. One of my favorite aspects was the interactions between the characters. There are a lot of different dynamics to love and each was written so beautifully and believably. Séverin – French-Algerian leader of the group, wants nothing more than to protect and care for his friends. He thrives off the idea of revenge and high-key pines after Laila. Hypnos – Heir of a French aristocrat and descendant of a slave on his mother’s side. Definitely grows on you as the story evolves. He has some of the funniest lines in the book and honestly, he just wants friends. Zofia – Socially awkward cinnamon roll with a few OCD tendencies. Really loves sugar cookies and mathematical equations. Enrique – Spanish-Filipino, bisexual. Obsessed with history and sarcasm (like me) and full of fun facts that people get tired of listening to (also like me). Tristan – Like a brother to Séverin, a bit of a recluse with a large pet spider and an affinity for botanical properties. Laila – Indian made-up girl with a tragic backstory and the epitome of a mom friend. She’s fierce and loyal and likes to bake and basically has earned the role of My Favorite Character. Give her all the happiness. And speaking of character dynamics, I love everything going on with the romances. We have one romance which is essentially mutual pining and angst, and it’s like Roshani has read all of my previous reviews of books and wrote this specifically for me. I’m also totally on board for the love triangle Enrique has going on, and although I’m already trash for one of the possibilities, I’m also a big fan of the other possibility as well. Basically, this book is amazing and should totally be on your TBR if it isn’t already. I highly recommend this for fans of Roshani Chokshi’s other works or those who love Six of Crows. The Gilded Wolves is a thrilling book full of heists, loyal friends, and magic. The ending crushed my soul and I have no idea what I’m going to do while I wait for the next book in the series. Beautiful review! I already adore Roshani’s writing, so I just know I’m going to love this one. It sounds so wonderful and I’m a little bit in love with all the characters already 💖 I’m so excited to read it! Thank you! I hope you enjoy it! It’s wonderful! Wow, this sounds great! 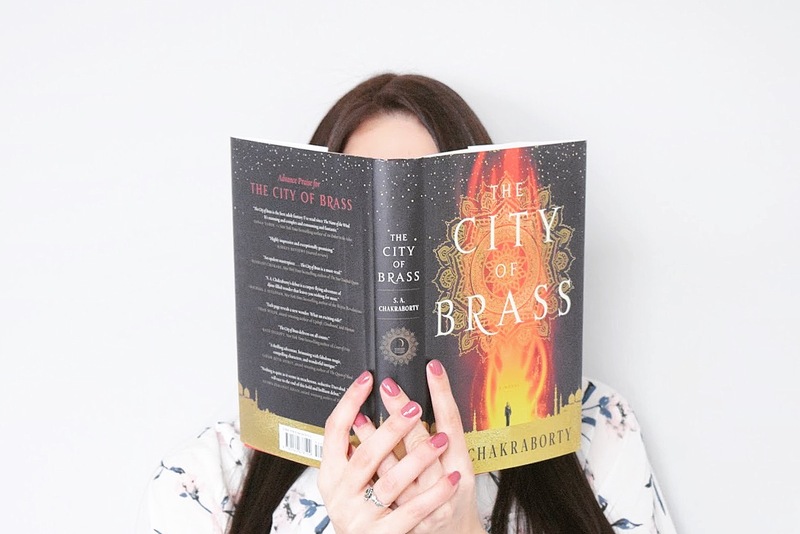 I just started Aru Shah and the End of Time by Roshani Chokshi, and The Gilded Wolves is definitely going on my TBR list immediately. Amazing review! I have an ARC of this and am planning on reading it in the next week or so. I am glad you enjoyed it so much. Great review, you’ve piqued my interest! I loved this too! The relationships between the characters were what made this so amazing! Me too! Hope it is out soon!